Interesting article, but, makes providers like me wonder why I work with "fellow" providers who do the following dumb crap: Start patients on large dose of meds thinking one can be on the effective dose as of day 1; give pts multiple meds in the same class, like 2 SSRIs(and not BS'ing, once had a pt on THREE SSRIs come to me), or my favorite (NOT!) being on Wellbutrin and Cymbalta at high dosages each, or Wellbutrin and Effexor; next, the growing use of stimulants and providers having the unmitigated gall to document it isn't for ADD, oh, and with meds like Wellbutrin Cymbalta or Effexor again at high dosages as well; and finally, reckless use of antipsychotics sometimes NOT even with antidepressants. So, this profile on a cardiac disorder only amplifies why doctors need to be paying attention to the medical background, and for docs like me who have plenty of pts who do not make much if any effort to see a PCP, much less stay active with a specialist like a cardiologist, well, as I noted at an earlier post here, maybe we need to have EKG machines in psychiatric offices?! An accurate description of the prescribing landscape is probably long overdue and the question these days is always "Who owns the data?" There is a lot of magical thinking when it comes to psychiatric medications and polypharmacy in general. Like you - I have seen patients who were toxic as a direct result of polypharmacy and the easy solution was to just discontinue the unnecessary medications. I have also seen patient who were toxic on a single medication because the prescriber did not recognize the problem as a medication side effect. There are a number of permutations of the problem. I personally don't think that enough time is spent in any residency discussing the toxicity of medications. The bias seems to be in the direction of "helping people" with the assumption that any medication prescribed with some sort of "evidence basis" will be uniformly helpful. One quick example from internal medicine and cardiology - a case of a man on metoprolol and flecainide with bigeminy and a heart rate down into the 20s. 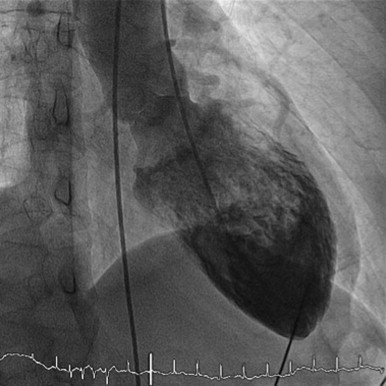 He was told at various times that the etiology was unclear or that he may need a pacemaker. All that needed to be considered was the interaction between the two medications and the dose. He saw several cardiologists and internists and nobody made that recommendation. I obsess every day in my drive into work about the fact that the group average doesn't apply to individuals. It applies even less when you are in the quicksand of polypharmacy and extraordinary doses. I am a strong advocate of ECGs, but I have always had strong back up with cardiologists or internists doing an official read on everything that I unofficially read. That may be the main problem with an ECG machine in a sole psychiatric practice but I think that could be remedied by having an internist or cardiologist read it and give them the fee. I certainly have never submitted a charge for reading it. I need it primarily to avoid medication errors, detect pathology, and monitor drug therapy especially polypharmacy.